A pleasant lane running through the middle of Kerridge from its junction with Grimshaw Lane and Chancery Lane to its junction with Oak Lane on the crest of the hill outside the Bull’s Head. Approach from Grimshaw Lane, Redway or Oak Lane. At each end the street comprises delightful stone cottages. 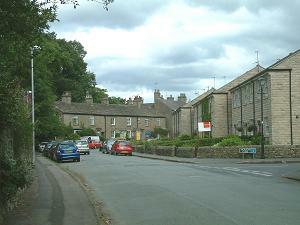 At the Bollington end there are several blocks of modern stone faced terraced cottages. The middle of the street runs through fields. Hollin Hall Hotel is accessed from Jackson Lane. Holy Trinity Church is also located here but was closed in September 2009 and has been re-developed into a domestic property. There is a public car park next to the church, perfect for those who are planning on walking in the hills above Kerridge.